Before we answer that, let’s review what the tonsils are. Your tonsils sit in the back of your throat. They are gland-like and there is one tonsil located in each pocket on either side of the back of your throat. Tonsils are made of the infection-fighting tissue known as lymphocytes, but tonsils aren’t really that great at their job of germ killing. Tonsils have many areas where dead cells, mucous, and bacteria can become trapped. If this debris accumulates and becomes concentrated, white formations can occur in the pockets. Once it hardens, it becomes a tonsil stone. 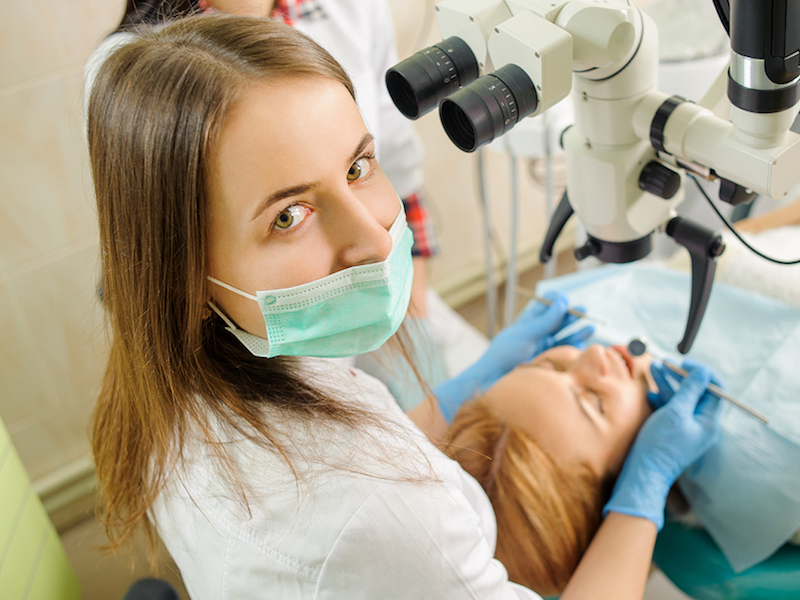 It’s important to discuss treatment with your Lansdale dentist or doctor. The only sure-fire way to avoid tonsil stones is to have the tonsils completely removed, but very few cases become this serious. Thank you for visiting our dental blog. We are passionate about the oral health of our Lansdale area patients. We also want them to have the beautiful smiles that they desire, that’s why we love to discuss with them the many cosmetic dentistry procedures available, such as teeth whitening, veneers, invisible braces, dental bonding, and dental implants. For general, pediatric, or cosmetic dentistry, call 215-368-1424 today to schedule an appointment with us!